WASHINGTON – Senate Republicans' bill to erase major parts of the Affordable Care Act would cause an estimated 22 million more Americans to be uninsured by the end of the coming decade – only about a million fewer than similar legislation recently passed by the House, according to the Congressional Budget Office. The forecast issued Monday by Congress' nonpartisan budget scorekeepers also estimates that the Senate measure, drafted in secret mainly by Majority Leader Mitch McConnell and aides, would reduce federal spending by $321 billion by 2026 – compared with $119 billion for the House's version. 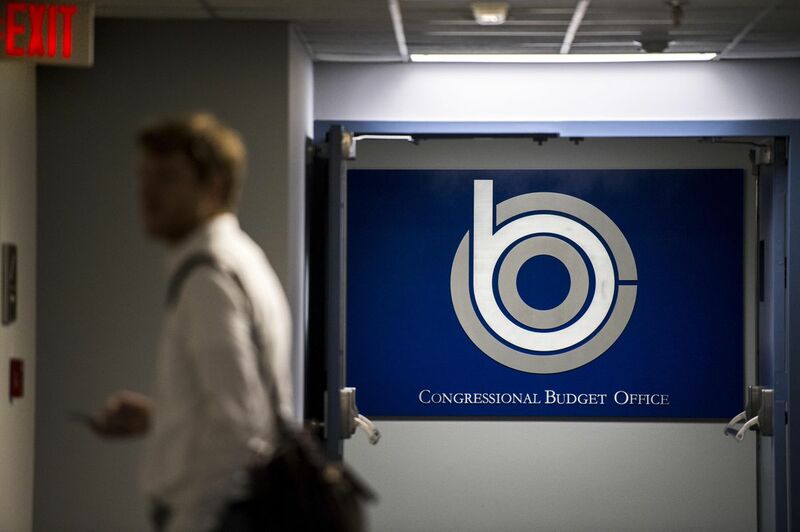 The CBO's analysis has been awaited as a crucial piece of evidence as McConnell, Ky., and other Republican leaders try to hurry a vote on the bill this week. But they are navigating an expanding minefield of resistance from their own party's moderate and conservative wings, while Democrats are united against it. The additional deficit savings gives those leaders plenty of room to add more spending to win votes from skeptical moderate Republicans like Sens. Dean Heller, Nev., Rob Portman, Ohio, and Bill Cassidy, La., who want more money and a dedicated fund to help treat opioid abuse. 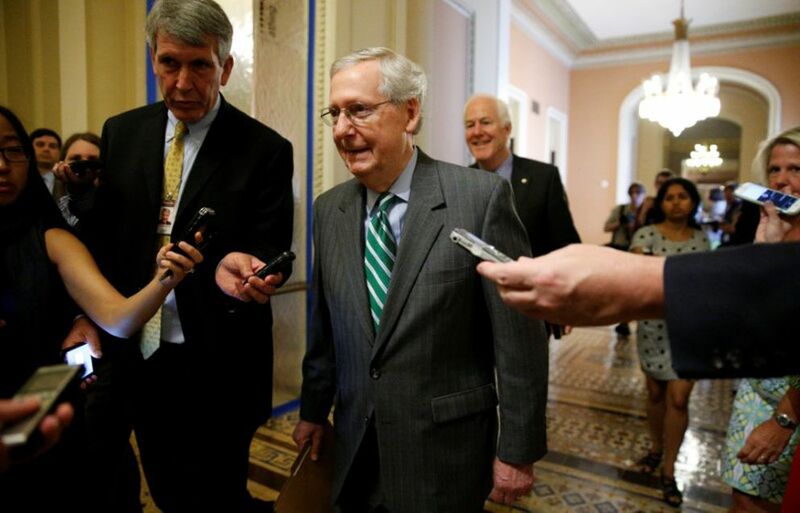 Senate budget rules require that the final legislation save at least $133 billion, more than was saved in the House bill, giving senators $188 billion to make the bill more palatable. Any extra spending risks alienating conservatives, however, and could threaten a delicate balance McConnell must strike to win votes from at least 50 of the 52 Senate Republicans. And some moderates have said they will decide whether they can support the Better Care Reconciliation Act based on how it will affect Americans who have gained coverage under the ACA during the past few years. McConnell said Monday that the legislation is an attempt at finding consensus among Republicans on how to fix health care. He urged a quick timeline for action but said the bill is still a draft that can still be changed ahead of a final vote. "The American people need better care right now," McConnell said in a speech on the Senate floor. "This legislation includes the necessary tools to provide it." Yet Cassidy, who wants to add better protections for people covered under Medicaid, said that the latest changes to the bill have not gone far enough to win his support. "It makes me more concerned," Cassidy said in an interview on CNN. "I remain uncommitted." The fresh figures come as President Donald Trump, in a sharp pivot from the praise he initially lavished on the House bill, is urging the Senate to provide Americans more generous help with health insurance. On Sunday, the president repeated during a "Fox and Friends" TV appearance a word he had used in a private White House lunch earlier this month with a group of GOP senators: that the House's version is "mean." According to the 49-page report, the immediate increase in the ranks of the uninsured would be slightly larger than under the House version, with an estimated 15 million fewer Americans likely to have coverage in 2018, compared to 14 million in the House bill. The Senate’s bill also would reduce federal spending on subsidies for people who buy individual health insurance policies significantly more than the House’s version, cutting spending for tax credits by $408 billion by 2026. Despite uncertainties about how the bill's moving parts would play out, the report says: "The amount of federal revenues collected and the amount of spending on Medicaid would almost surely both be lower than under current law. And the number of uninsured people under this legislation would almost surely be greater than under current law." Democrats immediately seized on the estimates to criticize Republicans for planning a vote on a bill that would force millions to lose insurance coverage and drive up premiums for seniors. Senate Minority Leader Charles Schumer, D-NY, said the bill cannot be fixed despite McConnell's plan to allow senators to make changes before a final vote. "Republicans would be wise to read it as a giant stop sign," Schumer told reporters late Monday afternoon. "No matter how the bill changes around the edges, it is fundamentally rotten at the center." 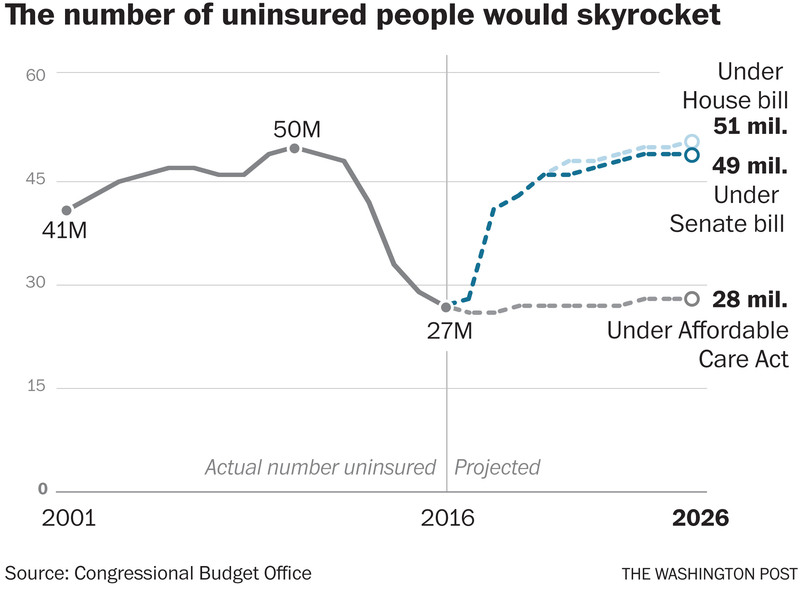 Though the ACA's expansion of Medicaid would be phased out over a longer period of time than in the House legislation, cuts to the public insurance program for the poor still would account for by far the largest share of the reduction in federal spending under the Senate bill – $772 billion over the coming decade. Nevertheless, senior Trump aides have repeatedly sought to cast doubt on the budget office's credibility. "If you're looking at the CBO for accuracy, you're looking in the wrong place," White House press secretary Sean Spicer said on the March day that the budget office issued its cost estimate of a preliminary version of the House GOP's health-care legislation. While they differ in important details, both the Senate GOP's plan and the American Health Care Act narrowly passed by House Republicans in May share the goal of undoing central aspects of the sprawling health-care law enacted by a Democratic Congress seven years ago. Both bills would eliminate enforcement of the ACA's mandate that most Americans carry health insurance, relying on subtler deterrents to keep people from dropping coverage. The House version would let insurers temporarily charge higher rates, while the Senate added a provision Monday that would let health plans freeze out customers for six months if they let their coverage lapse. After two years, both also would end subsidies that now help about 7 million lower-income people with ACA health plans afford deductibles and copays. And both would repeal an array of taxes that have helped to pay for the ACA's benefits, including levies on health insurers and on wealthy Americans' investment income. For the Senate bill, the CBO's estimates of insurance coverage and federal spending are influenced by the fact that its forecast covers a 10-year window and the legislation's most profound changes for the nation's health-care system are tilted toward the latter part of that period. The bill would, for instance, leave in place the ACA's expansion of Medicaid through 2020. After that, it would begin a three-year phaseout of the federal money that under the ACA has paid almost the entire cost of adding 11 million Americans to the program's rolls in 31 states. That means the extra funding wouldn't disappear until the mid-2020s – roughly when sharp new restrictions on federal payments for the entire Medicaid program would take effect. Over the weekend, the senior Democrat on the Senate subcommittee that oversees the CBO said in a tweet that he had asked the budget office to estimate the Senate bill's effect on insurance coverage over a longer time horizon. "GOP is hiding the worst Medicaid cuts in years 11, 12, 13 and hoping CBO stays quiet," wrote Sen. Chris Murphy, D-Conn.